Born in Mexico and raised among giant grandmothers, mossy house walls, and rampaging feral gardens, Yuyi Morales fostered a strong bond with the magical stories that ran in her family. 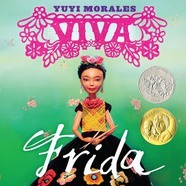 Since immigrating to the USA in 1994, she has drawn from her family’s legacy and her heritage to create some of the most celebrated Latino works for children’s books. 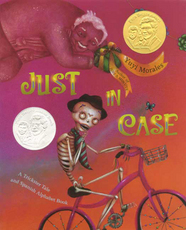 Yuyi Morales is the 2004 winner of the Pura Belpre Medal for Illustration for her book Just a Minute: A Trickster Tale and Counting Book as well as the 2008 winner for Los Gatos Black on Halloween (written by Marissa Montes), given to a Latino illustrator whose work best portrays, affirms, and celebrates the Latino cultural experience in an outstanding work of literature for children and youth. Her book Harvesting Hope; The Story of Cesar Chavez (written by Kathell Krull) was the recipient of the Christopher Award and the Jane Adams Award, and was deemed one of the best books of 2003 by Child Magazine, San Francisco Chronicle, and School Library Journal. Her newest book, Dreamers, will be released in September 2018. 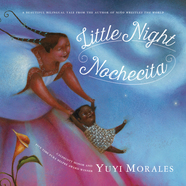 Yuyi Morales is also the creator of ALA notable book, Little Night, co-released in Spanish as Nochecita, and winner of the 2008 SCBWI Golden Kite Medal. Other recognitions her work has received include the Americas Award, the California Book Award, and the Tomas Rivera Award won in 2004 and 2008. No opponent is too big a challenge for the cunning skills of Las Hermanitas, Lucha Queens! Their Poopy Bomb Blowout will knock em' down! Their Tag-Team Teething will gnaw opponents down to a pulp! Their Pampered Plunder Diversion will fell even the most determined competitor! But what happens when Niño comes after them with a move of his own? 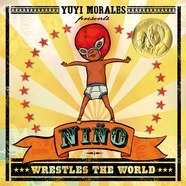 Watch the tables turn in this wild, exciting wrestling adventure from Caldecott Honor author Yuyi Morales. 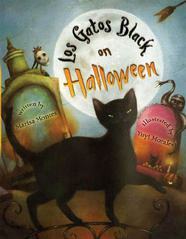 Follow los monstruos and los esqueletos to the Halloween party in this bilingual poem written by Marisa Montes, with illustrations by award-winning author and illustrator Yuyi Morales. Where could Little Night be? Down a rabbit hole? In a blueberry field? Among the stripes of bees? Exquisitely painted and as gentle as Little Night's dress crocheted from clouds, this is a story to treasure. With a bilingual text in both English and Spanish, Little Night Nochecita by Yuyi Morales is a sweet story every child can enjoy. 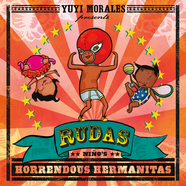 An Evening with Yuyi Morales Yuyi discusses her career in writing and illustrating children's books, her heritage, and the importance of fostering bilingual children.